A new asset became part of our team, supporting the business of Asia Pacific and China markets, showing thus a great interest of expansion in these markets as well. Marco Rama, who is in charge of APAC sales area, due to his great experience in this specific market acquired with leaders in Beverage sectors, has said “I made a choice to be part of Clevertech team after I saw closely the range of systems that Clevertech designs and develops and now I see the specific determination of Clevertech board to grow in this part of the world”. Clevertech group has already an important presence in the APAC market after having inaugurated a branch last autumn in Mumbai, India, with a well-established production site in Changshu, China as well. The aim for 2019 is a dedicated and focused sales network which is going to develop this market. Marco says “We would like to find the right key in order to enter each market. Thanks to our experience in different sectors, we are able to reply to our customers requirements which arrives from different countries”. “Furthermore, we have been organizing our internal structure in order to support various requests and, at the same time, we are working on specific and targeted activities in order to grow in India and China. The Pacific area (AUS/NZ & JAPAN) is a potential development area too for Clevertech. This is the reason why we are exhibiting at the event Auspack in Melbourne, Australia. Besides the important countries mentioned, we’d like to approach also to the developing countries such as Bangladesh, Pakistan, Philippines, Myanmar. The continuous and across the board presence in this area enables us to listen, understand and analyze all markets and thus to create a dedicated strategy. I’m sure, we will do right also in this part of the world." That’s precisely what Umberto Reggiani, Sales Director, declears: “We are really impressed by Marco’s enthusiasm and initiative. We immediately thought he was the right person able to give a fresh new impetus to significant investments Clevertech did in in these last years in Asia Pacific area. 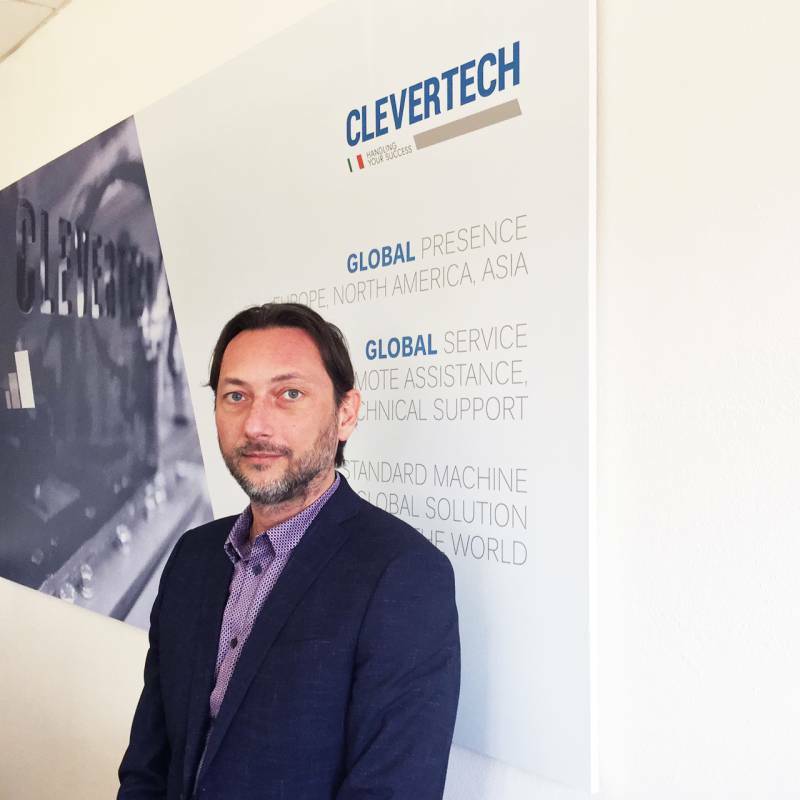 We are extremely glad that Marco accepted this new challenge Clevertech is taking on."